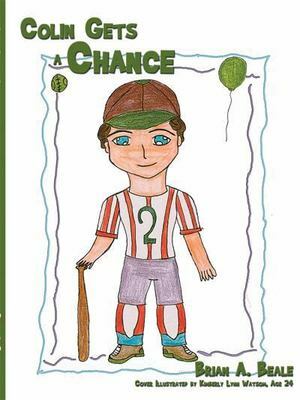 Colin Gets a Chance is an inspirational look into a day in the life of a special needs child and how the acts of a child's peers can have such a significant impact. Colin has Down syndrome. Colin Gets a Chance is based on the premise that children with Down syndrome and other special needs have so much to offer society if just given a chance. It's a book about awareness regarding a delicate subject many parents and teachers find challenging to discuss with their children. The story centers around Colin's baseball team and takes place on the day of the biggest game of the year. The bigger story is how Colin's teammates rally behind him to finally give him a chance, which is all Colin's ever wanted since the first day he put on his uniform. Not only is it a chance to play but, for Colin, it's a chance at life. Colin Gets a Chance is based on the author's son, Colin Beale. You'll be cheering for Colin from the time you open the book to the very last word. The best part about Colin Gets a Chance is that every illustration was completed by individuals with Down syndrome, which exemplifies just what these individuals can do if given a chance. This book is sure to open up the lines of communication with your children as they learn more about Down syndrome and how much these individuals are really like them; once they're given a chance.